Conversations about college access for minority students should be guided by dreams, not fears. 1. All colleges are not created equal. Teach students to make informed decisions. Show them how to spot colleges with low admission barriers, high tuition rates, and certification programs for entry-level jobs. Many certification programs are terminal. That means students cannot transfer their credits to another college and continue toward a bachelor’s or master’s degree. For minority students who are already behind, graduating with an associate’s degree certificate and $40,000 in student loan debt is not a level up. When students ask me about attending one of these schools, I encourage them to look at the local community college to see if it has similar programs. I also take exceptional care when working with my skilled trades students. I make sure they look for the best certification programs, which should be affordable and accredited. 2. College horror stories perpetuate fear. If you’ve amassed far more debt than you can pay, keep that to yourself. When counseling students to go to college, it is best to keep your tales of caution to yourself for this simple reason: Just because you have never seen it done, doesn’t make it impossible. By warning students, you are also assuming they will have the same experience you did. Every good educator should want their students to surpass their own accomplishments and avoid similar mishaps. 3. Problem-solving skills go a long way. Creative problem solving is one of the most important skills a student can have in college. Having the ability to deal with financial aid, lost paperwork, or a bill that cannot be paid on time is priceless. Show them how to ask for help. Remind them to keep knocking on doors and to not take no for an answer. And most importantly, show them how to find new ways to get the work done. 4. Accurate facts are critical to success. Misinformation is a big issue in college access and counseling. One myth: It is always cheaper to attend an in-state school. Not necessarily. Schools receive public and private money to fund students. Sometimes, when that money is not used, they can reallocate those funds to atypical students. 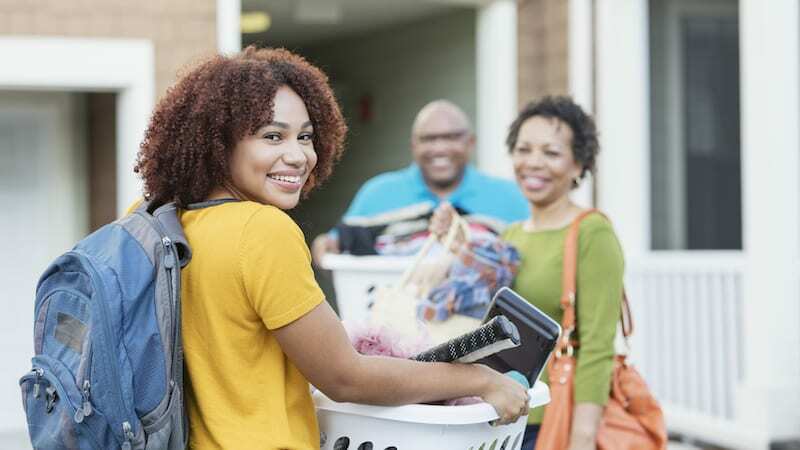 Look for reciprocation programs, such as the Midwest Student Exchange Program, where students who live in the midwest can exchange their in-state status to other state schools. Another major misconception is that only students with a GPA of 2.5 or higher can go to a four-year institution. False. Colleges know that a student who didn’t prove themselves in high school could turn it around in college. Don’t tell a student no on behalf of a college. You never know what opportunity you might be keeping from them. 5. Teach minority students about the financial aspects of postsecondary education. Telling a student search the Internet for answers about financing a college education can be waste of time. Suggesting a low-income student work part time to pay tuition at a Big 10 school is a waste of time. Facilitating the acquisition of a predatory student loan or credit card? Also waste of time. Telling a student they will never pay down their student loan debt? That’s right. A waste of time. Instead you need to share stories of encouragement and prosperity—and they exist. Talk about options for student loan repayment. Have several conversations about fiscal ability and responsibility, not just with the student but with the student’s supportive adult system. 6. Validate underrepresented students’ college fears. The idea of attending a four-year college is terrifying for many students. I think of the Mexican-American student whose parents don’t speak English. That student may worry about leaving the parents they advocate and translate for. I also think about the black student who helps take care of her older sister’s kids while her sister is working. For some of our students, going to college with the hope that it will secure a better life for themselves and their families is a lofty risk. It is a misconception that these families don’t want their children to leave for college. In reality, they may be fearful of the cost of losing a valuable human resource. As an educator, it is our job to advocate not just for these students but for their families. Tap into the social justice portion of your job. After all, supporting our students’ families is part of the work we do. 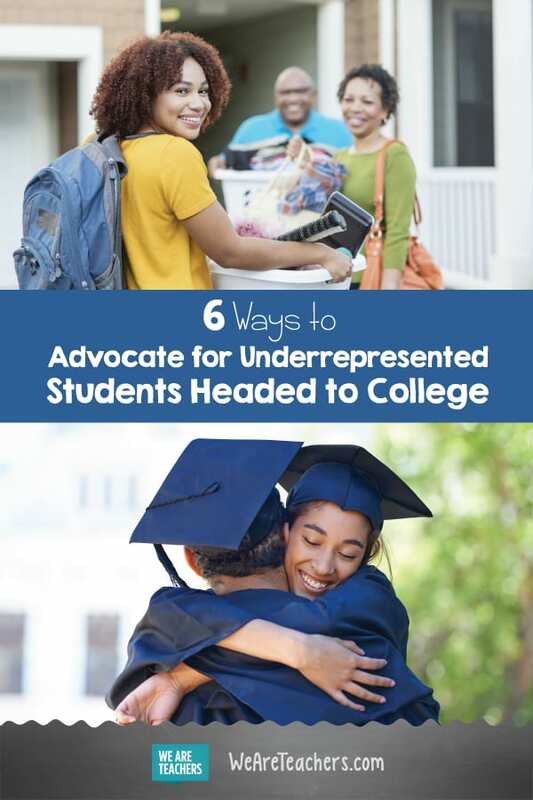 This year, don’t just have conversations about college and the possibilities associated with it. Also dream with your students about a world without limitations grounded in stereotypes about their identities. Get to know and understand them and their unique desires and needs. Advocate for your students and then point them to the stars. How do you help prepare your students for the college application process? Share your advice and ideas in our WeAreTeachers HELPLINE group on Facebook. Plus, check out our college admissions application timeline poster.